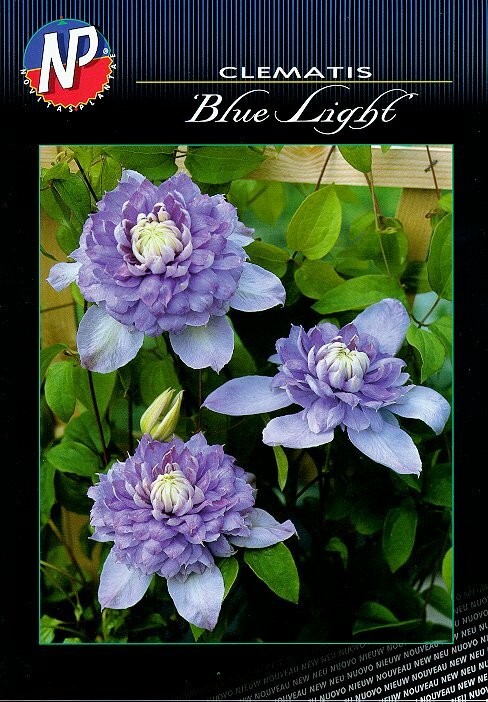 Clematis ‘Vanso’ pp#15953 “Blue Light”® Pride of Place Plants Inc. The first of our introductions from "The New Eden"! 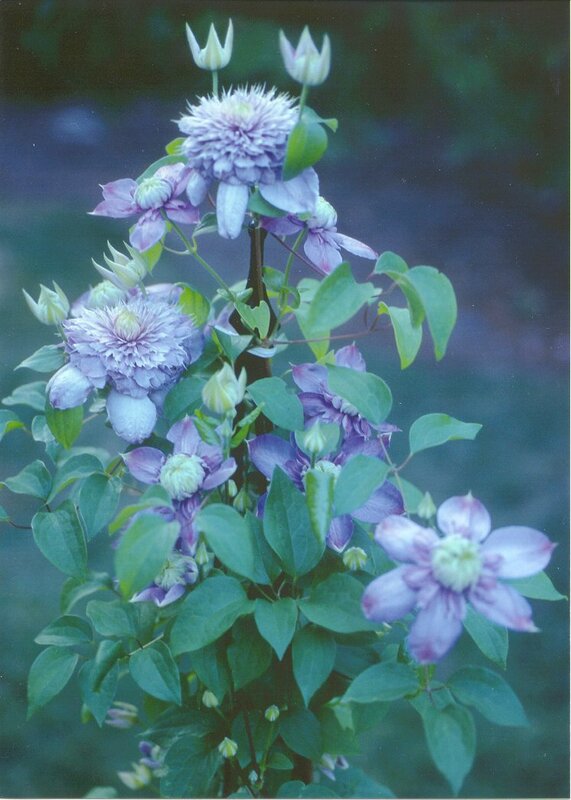 A double sport from Clematis Mrs. Cholmondeley and a beautiful addition to the range of large flowering Clematis. 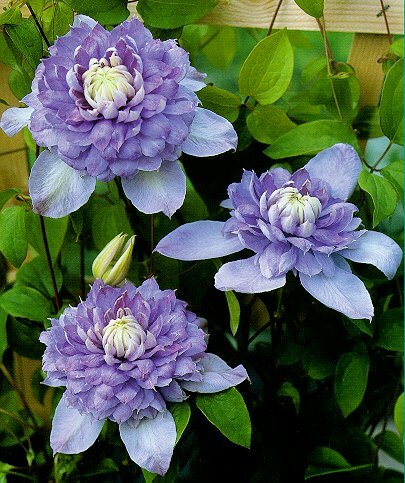 Introduced in the Netherlands by plantsman Mr. Frans VanHaastert. 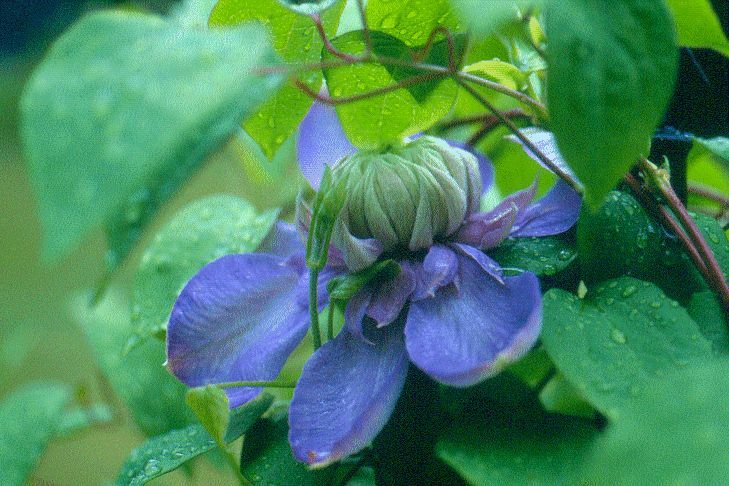 This new variety produces double flowers both in spring and autumn. 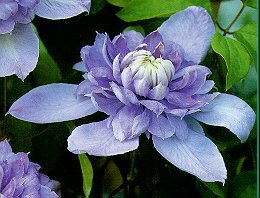 The flowers are a pale blue-violet to pale blue in color. 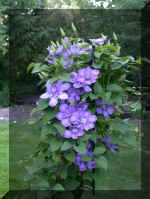 An exceptionally free flowering variety producing masses of flower from June to August/September. Hardy in Zone 4 and Heat Tolerant in Zone 8. 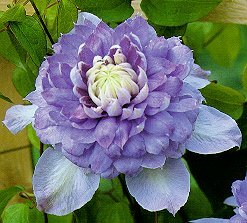 It can be planted in full sun. 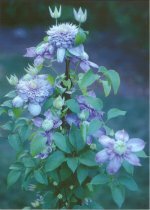 This cultivar has been found to be free from pests and disease. 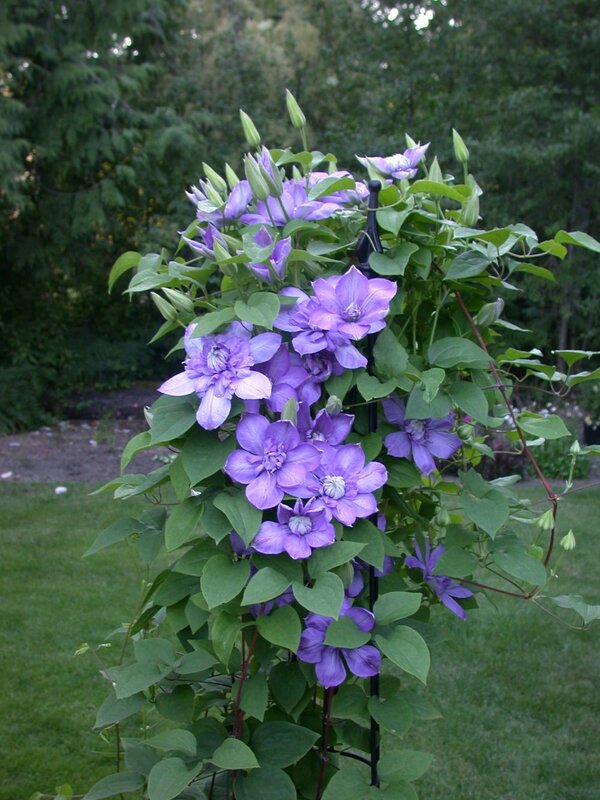 A strong growing climber reaching up to 2 meters in height. This "Blue Light" will make a fine addition to your garden. Can also be planted in tub or pot.